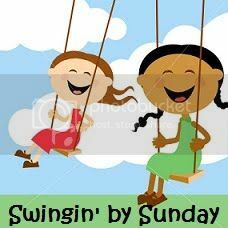 Flip Out Mama: Blog Hop Sunday and some updating! Wow guys, it's been a really long time since I've done a blog hop! I am very excited to participate today, and hopefully hit that 700 follower mark! That will be a huge milestone for me! This week has been pretty sucky. The boys are driving me nuts. The Bean is cutting teeth and is completely inconsolable. Sigh. Tater has been really acting up since returning to school after Winter Break. Hopefully next week will be better. Tater went to the dentist on Friday for the first time, he was so brave! He has no cavities and the dentist said everything looks great! I was very impressed with my big boy! In other news, hubs and me went on a date last night. We went to see Little Fockers and it was so funny as usual (love Ben Stiller and Owen Wilson both! ), but I was honestly so exhausted I don't think I really enjoyed it as much as I could have. I hope my children will let me sleep a little bit this upcoming week! Next week we will be previewing some of the sponsors for our Baby Shower Bash! I am very excited to work with these wonderful companies, and I can NOT wait to get this party started! Next week we will begin showcasing our sponsors, and our more detailed reviews will happen later this month. I also have some amazing giveaways lined up from these sponsors, so make sure to check back! Hey there! Am your latest follower from Say Hi Sunday :) My boys go completely insane at the friggin' hair dressers - I can't imagine what is in store for the dentist. Ahhhh! 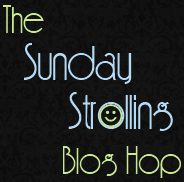 I'm your newest follower from the Sunday Strolling Blog Hop. Hello! New follower from Pink Dandy blog hop! Very cute blog! Can't wait for the Baby Shower Bash! Hopping around to say hello. I recently became a follower. I would appreciate it if you would visit my blog Rufina's Opinions And Reviews R.O.A.R and return the favor. New follower from Relax and Surf Sunday!